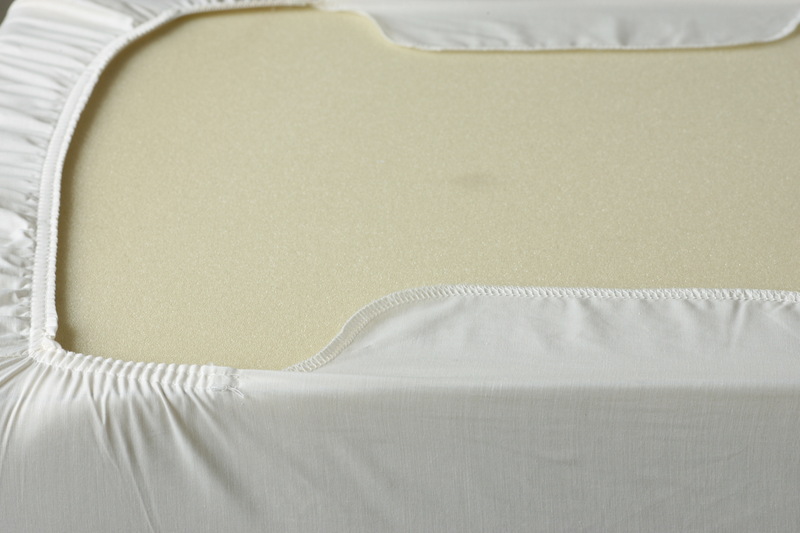 One of the problems with dressing an adjustable bed mattress, is that they tend to move more than the average sheet can accommodate. You can see here how the center portion of the sheet wants to follow a straight line, instead of the curve of the mattress, and ends up popping free. 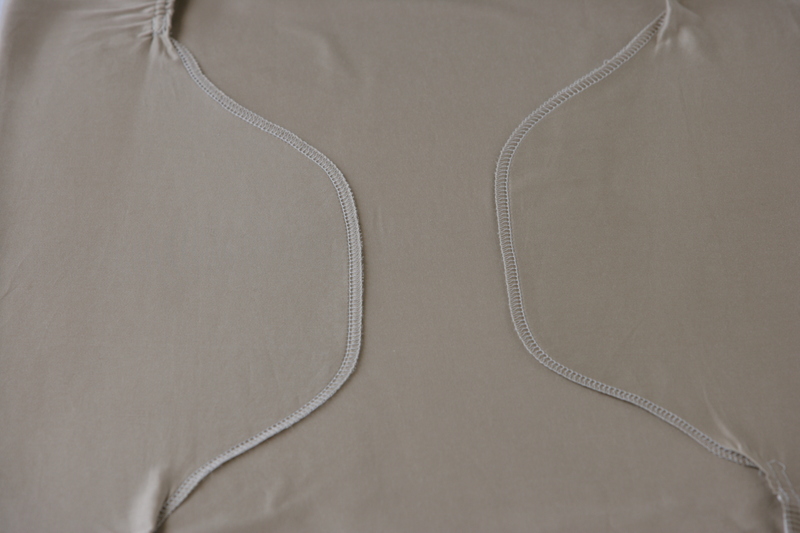 As you can see, we’ve altered the problem portion of the sheet with extra width, in the form of these “wings” and removed the elastic in that area. Now, we simply tuck in this extra fabric, which will be held in place by the increasing weight of the mattress as it is adjusted. The higher it is adjusted, the more firmly it holds.